Need to improve your marriage, but don’t know how? Here are 5 resources to help you get started. Be more valued, respected, and loved by your spouse. 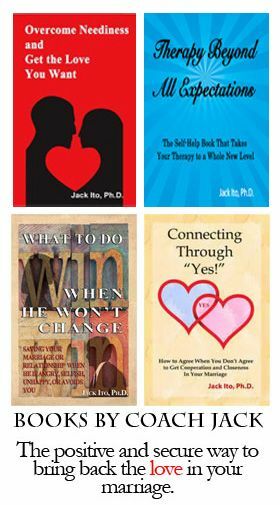 Hello, I’m Dr. Jack Ito, licensed clinical psychologist, marriage and relationship coach, author of three highly rated books on improving relationships. Welcome to this website. I’ve assembled some resources to help you dramatically improve your marriage. 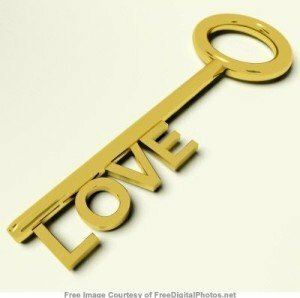 The ideas, methods, and techniques you will find here can reduce conflict, and make you more attractive and closer to your partner. Do you want to be valued by your partner? The fact is that all valued partners are very secure. They respond effectively and they have good boundaries. They get a lot more from their relationships than the average person. They get along better and make up faster. They are highly respected and esteemed by their partners. They become good role models for their children. Inevitably, they reach a whole new level of intimacy in their marriages. And so can you. You can read an article on your relationship concern. All you need to do is click on the Relationship Help link that is on the top menu of every page. Choose your area of interest and then browse the article headings. When you find the article that is best for you, click on it to get some basic help right away. Expert user’s tip: Click on Archives in the upper right corner of any web page to see a complete list of the articles on this website. You can download a free course. Download a free course in the fundamentals of relationship improvement. 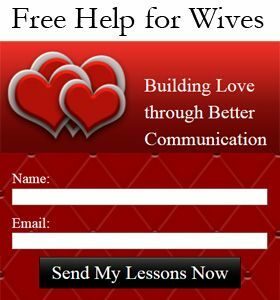 I am constantly receiving feedback from men and women about how helpful these lessons are. 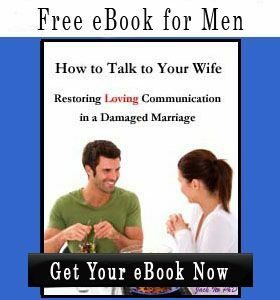 In many cases, they are all that a husband or wife has needed to make tremendous improvement in his or her marriage. If you are not married, these skills will also help you to get to a deeper level of commitment, and one step closer to the alter. You can get a self-help book. You can preview my published books which I have written to provide extensive self-help for overcoming conflict in loving and secure ways. 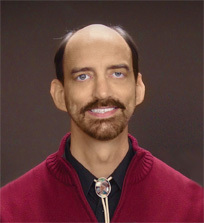 All you need to do is to click on the “Books by Coach Jack” menu option at the top of the page. You can get a coaching session. This session is perfect for people who are unsure if there is hope for their relationship. The main reason people feel hopeless is because the methods they know have not worked. But, that is not the time to give up hope–it is the time to get better methods! You can get a 30 day coaching package tailored to your situation. These popular packages provide an intense level of help and resources to improve your marriage as soon as possible. It would take most people more than a year to make these kinds of changes on their own. All you need to do is to click on the “Coaching Packages” link on the menu at the top of the page. Thank you for visiting my website. Enjoy your stay.